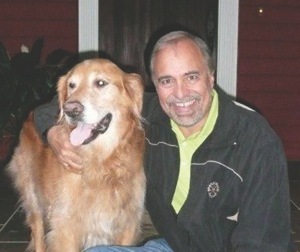 As the president of The American Pet Products Association (APPA), Robert Vetere partnered with Purdue University researchers to explore the human-animal bond in his new book “From Wags to Riches: How Dogs Teach Us to Succeed in Business & Life.” Here, he tells us about his book and other exciting projects. Q: Your book has a pretty catchy title. 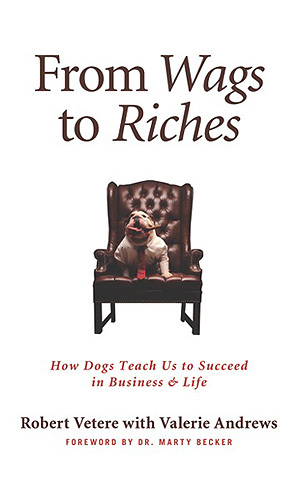 Can you share with us three ways dogs help teach us to succeed? A: I think the most important lesson to be learned is: Watch your dog listen to people. They do not interrupt, do not talk back, do not try to have a more important problem than you do. And once you are finished talking, they move on with life. You feel better for having unloaded, and your dog is happy because you are paying attention to him/her. A second behavior to emulate is how dogs behave in a pack (like a work force). They adapt to each given situation. There is no alpha dog for every situation. The dog who may be best at finding shelter may not be the best one to find food, and a third may be the one the pack follows for defense from an enemy. The same holds true with your pack at work. Each individual has his or her own strengths and should be managed to use those strengths. Finally, watch your dog for extreme levels of creativity. They are not encumbered by pre-conceived notions that limit the generation of new ideas. Humans need take notice. Q: What gave you the idea to write this book? A: When I first got out of school with my MBA, I was clearly the hot shot new kid who knew everything, so I knew that people needed to listen to me. I was book smart. As all of us in the business world know, that is a prime formula for disaster. As I noticed that basically everyone in my department avoided me and listened only marginally, I began to realize that I was in trouble. Then, as I was walking my dog one day, it dawned on me that in that environment I never had a problem meeting new people and having meaningful conversations. I began to notice that my Setter was the conduit. She approached people with her tail wagging and accepted them on their terms without being confrontational or superior in attitude. And people responded positively to that. It was that “Aha” moment that caused me to start to notice a lot more behaviors in the dog world that make a lot of sense in the human world. Once I started looking around and talking to others in the business world, it quickly became obvious to me that I was not alone in seeing this. Q: Can you tell us about your personal dog(s)? A: I have been fortunate to have had a number of dogs throughout my life, from Beagles and St. Bernards to Irish Setters and Golden Retrievers. I learned much from each one – but especially a lot from my three Goldens: Sam, who always wandered beyond boundaries to discover new and exciting things; Wharf, who demonstrated the power of peacefulness and serenity; and, finally Dakota, who has shown me the positive impact of loyalty and patience and, especially, good humor. Each has been a wonderful teacher in their own way. Q: You’re a StubbyDog advisor. What is it about the cause that drew you to want to help? A: StubbyDog is a perfect example of exposing group think that is causing serious misconceptions that become truisms for the large part of the population who does not look for the true facts. Throughout my management career, I have been involved in so many similar issues. It is a struggle to fight back and it is overwhelmingly frustrating to have non-facts thrown back at you as accepted truths without any consideration for your side of the story. I was a big fan of “The Little Rascals” and Spanky and the gang’s love for Pete the dog. It amazed me how this icon of a kid’s show suddenly became the evil villain of the dog world. Through my association with Landon [Pollack] and StubbyDog, I grew to understand the bad rap pit bulls had gotten and how misguided it was. I knew I wanted to do whatever I could to help. The passion of the group is contagious and heartfelt. Q: We’re all dog lovers here, but what’s something that will really surprise StubbyDog readers who pick up your book? A: I think the sheer number of executives that have many stories to tell about how their dogs have positively influenced both their work and personal lives. I know I was. I knew that people like Rachael Ray and Martha Stewart and Ellen DeGeneres are known for their love of their dogs, but it goes so far beyond that. There are many stories that most folks will smile about and recognize the similarity with their own lives. Plus, in chapter two you get a chance to find out just what kind of dog mimics your own management and living style. Q: Tell us about the APPA PAL campaign? A: Several years ago, the American Pet Products Association commissioned a study looking at the next 10 years for the pet industry. There are a number of interesting findings about the changing demographics of pet ownership and the continuation of the humanization of pets. It also indicated the growing number of pet owners. While as a trade association, APPA, of course, encourages increased pet ownership, we also feel a very important need to ensure that we do not have just more pet owners but more responsible pet owners – owners who understand the responsibility of pet ownership, the importance of the proper care and handling of pets. Pets rely on us completely for their health and welfare, just like a newborn babies, but pets never grow out of that stage (arguably, neither do a lot of people, but that is another story!). At APPA, we wanted to put together a program encouraging people to be smart in choosing a pet and educated in handling that pet. We support a number of organizations in furthering this effort including the Pet Care Trust, an organization that sponsors a program called Pets in the Classroom. Over the years, the Trust has helped place pets in over 7,000 classrooms around the country, helping to teach children both the joys of pet ownership and the responsibility that comes with it. Q: What are some of your goals for APPA in 2012? A: Aside from the business goals of supporting the pet products industry and running Global Pet Expo, the largest annual pet products tradeshow in the world, we are looking at expanding our role in supporting the pet industry and responsible pet ownership. With the initial support of Petco and Pfizer Animal Health, we have developed the Human Animal Bond Research Initiative (HABRI). In conjunction with Purdue University and other human and pet health institutions, HABRI is collecting vast amounts of research centered on the human health benefits derived from animals and pet ownership. We have grown to over 18 companies and organizations representing all aspects of the pet world. Once this data is collected and categorized as to its completeness, we plan on making people aware of it so they can make informed decisions about pet ownership. In your comments below tell us one lesson your dog has taught you that has helped you in business. Three responders will be chosen at random to receive a copy of the book.